Italian firm Sonus faber is one that is steeped in tradition. Founded in 1983 by renowned designer, the late Franco Serblin, Sonus faber loudspeakers are widely held amongst the most distinctive and admired in the world. The Sonus faber brand was acquired in 2007 by US holdings company, The Fine Sounds Group. Incorporating Audio Research, McIntosh Labs, Wadia Digital, Pryma and the distribution companies Fine Sounds Asia and Sumiko, with Sonus faber yet another notable brand under the sizable umbrella. 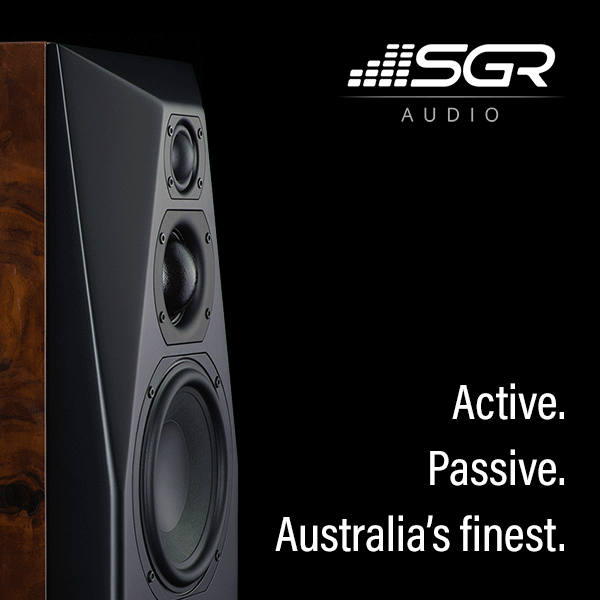 While Sonus faber was the first of these companies to be acquired, the Fine Sounds Group progressively increased their holdings over the subsequent few years under the strategic guidance of major stakeholders, Italian private equity firm Quadrivio SGR as well as new CEO, Mauro Grange. Further company restructuring from 2014 onwards saw the corporate branding change from World of McIntosh to the current The McIntosh Group while new offices and a high-end demonstration and corporate events space were established in New York, the latter known as ‘The Townhouse’ in trendy SoHo. Therefore, while much has changed in the foundations of the overall ‘brand’, some things still remain the same at Sonus faber. The company is still entrenched in the tradition of the design and creation of fine handcrafted loudspeakers [under the leadership of a design team led by the talented and passionate industrial designer Livio Cucuzza and engineer Paolo Tezzon – Editor] echoing the aesthetics and artisanal qualities that first solidified their phenomenal reputation. As a burgeoning audiophile many years ago, I can still recall reading through the pages of the audio press admiring many of the Sonus faber creations (and lusting after their ownership), including the Guarneri, the Cremona, the Stradivari and of course, the Amati. Cremonese instrument maker Andrea Amati was the designer of the first violins – the violin, viola and cello. Although similar designs existed from other craftsmen in the mid-16th century, Amati formulated and standardised the constituents and form profile of the instruments. His works were commissioned by the nobility and royal houses of Europe and examples from this period are held treasured today in museums around the world. Tradition followed the Amati family, with further refinements in Andrea’s designs over successive generations, leading to improvements in the instruments’ appearance and musical tone. Andrea’s grandson, Nicolo Amati provided apprenticeships to other famous instrument-makers including Andrea Guarneri and Antonio Stradivari (though his tutelage of Stradivari apparently remains under some contest within the right circles). 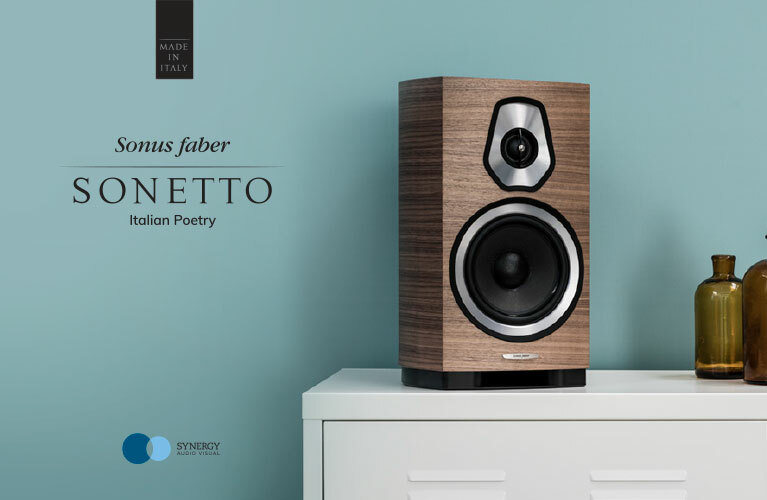 Sonus faber has been producing loudspeakers under the Amati moniker for a number of generations – the Amati, Amati Homage Anniversario, Amati Futura and now, the topic of this review, the Amati Tradition. This latest iteration of Amati is the top model in the Sonus faber Homage collection (sitting just below the company’s specialty and limited models, the Extrema, Il Cremonese, Lilium and the new Aida as launched at the Warsaw show recently – see story and show report here – culminating in the said-to-be-one-off The Sonus Faber). The Amati Tradition’s little sister, the Serafino has also been reviewed by my esteemed editor, Edgar Kramer, to great acclaim. I was forewarned that I was likely going to like the speaker I was about to hear. 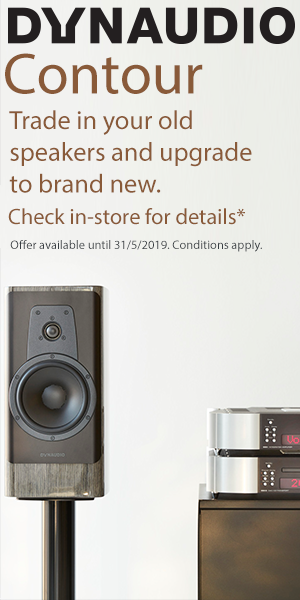 Brownie points for those that picked up on how many times the words homage and tradition are used in the Sonus faber nomenclature… Now, let’s look into that. The Oxford pocket dictionary provides the following definition: Homage n. tribute, expression of reverence. A visit to the Sonus faber website reveals the following in description of their Homage collection. I honestly couldn’t think of a better way in the modern era to pay respect and show reverence for a musical instrument master craftsman than to create and refine a sumptuous and elegant handcrafted loudspeaker, envisioned with the ability to imbue the playback of music with tonal fidelity, musicality and soul; in much the same way as the Amati family would have done for their violin instruments. In the forthcoming paragraphs, I’m going to do my best to qualify why over the time I have been fortunate enough to spend with them, that the Amati Tradition loudspeakers have done just that… Homage indeed! The Amati tradition is a large mid-size 3.5 way floorstander. Its front baffle possesses a simple rectangular geometry, breaking into a sweeping curve around the side panels said to mimic the shape of a lute as they taper towards the rear of the cabinet. Viewed from above, the speaker truly echoes the shape of a fine instrument or the cross-section of an elegant watercraft hull. The speakers weigh in at a fairly hefty 61kg each and measure (HxWxD) 1176 x 411 x 512mm. 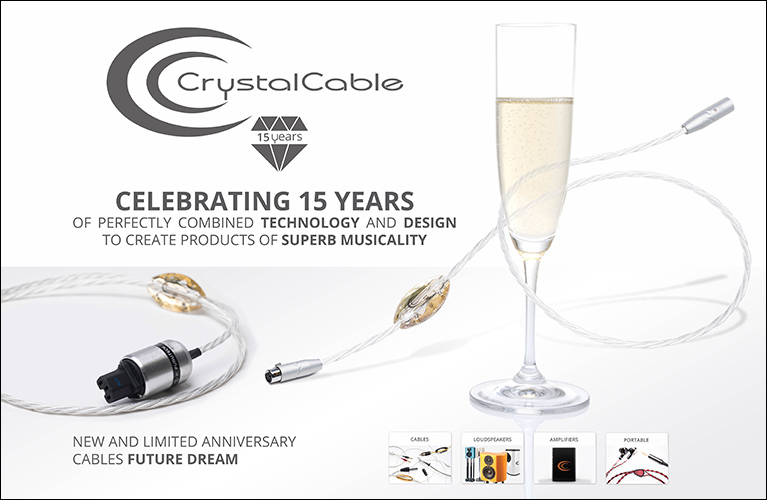 Frequency response is claimed at 28-35000Hz, with a very welcome sensitivity of 90dB. Impedance is nominally 4 ohms. The tweeter is the H28 XTR-04 28mm silk dome ‘Arrow Point’ damped apex dome (DAD), featuring a neodymium motor and integral natural wood acoustic labyrinth rear chamber. 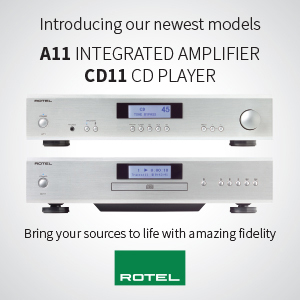 The DAD system assists in the extension of frequency response to 35kHz by discouraging antiphase behaviour. Sharing the same sub-baffle and similar neodymium magnet system, the M15 XTR-04 150mm cellulose pulp midrange driver is smaller but identical in construction to the unit utilised in the Lilium and Il Cremonese models. Two W22XTR-08 220mm lightweight “sandwich” cone woofers adorn the lower half region of the baffle and possess a syntactic foam core overlaid by two cellulose pulp skins designed with individual properties engineered to optimise each driver for a seamless hand-over from low- to mid-bass and from mid-bass to midrange respectively. The baffle consists of a single 1.1-inch thick CNC milled piece of HDF dressed in a synthetic leather facing into which a geometric pattern (think Nazca Plateau) gently distinguishes the midrange driver and tweeter, helping to break up the rather large yet elegant fascia. The cabinet sides are a wood-press cured laminate amalgam of 1.2-inch-thick plywood and glue, which are then CNC milled before being hand-veneered, sanded and sealed with 11 flawless coats of clear lacquer. The veneer is available in traditional Sonus faber red or in a more contemporary wenge finish with horizontal linear maple inlays of contrasting colour. The red walnut versions feature a black leatherette coated front baffle and black anodised brushed aluminium hardware as found on the flagship models, Aida, Il Cremonese and Lilium; while the wenge versions flaunt a silver titanium brushed aluminium finish and coffee coloured leatherette front baffle. The more avant-garde wenge finish is a tribute to the aesthetic of the Olympica series loudspeakers and in a more general sense, to the styling of Italian motorboats from which this series draws some inspiration. The cabinet top and bottom are constructed of thick aluminium plates forming, if you like, the metallic crown and rump of the speakers’ metallic exoskeleton. 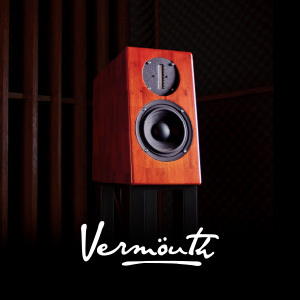 Two veneered and lacquered wood inlays are precisely set into lateral recesses machined into the top plate, which is then finished with a similarly recessed central circular glass feature onto which the Sonus faber ‘Sf’ motif has been perfectly silk-screen printed. The thick bottom plate accommodates four solid spiked outriggers possessing alternating surfaces of metal and elastomer, comprising the patented ZVT (zero vibration transmission) system. This novel system is touted to mechanically decouple the speaker from spurious floor-borne vibration transmission, stated to be particularly effective in the 30-80Hz spectrum. Sonus faber’s traditional string grille may be optionally employed, slung from a thin former than inserts into the speakers’ metal upper and lower plates. When fitted, the slightly elastic strings pull taut and bear obvious resemblance to the strings of a violin. While not entirely unique to the Sonus faber brand, it remains a fairly bespoke approach, particularly when compared to the basic cloth alternative. While you may think that as they do on a wooden-bodied instrument, these strings must inevitably vibrate in response to the movement of the drivers tucked just behind them, I never once found their presence to be sonically intrusive. Their attractiveness and tendency to make the speakers more inconspicuous and therefore ‘invisible’ made their use irresistible and so were used on the review pair for almost all of their lengthy auditioning. A vertical series of gently radiating fins span the entirety of the para-median regions of the posterior of the cabinet, seamlessly connecting the metallic finishes of the top and bottom exoskeletal plates, adding to the speakers’ purposeful beauty and no doubt, structural rigidity. These fins ensconce three long foam and felt-lined ports forming the Stealth Ultraflex system, designed to regulate the speed and laminar flow properties of air through the ports in an attempt to reduce turbulence and hence, distortion. Two sets of well machined and easily tightened binding posts are located just below the lowest of the three ports, facilitating optional bi-wiring should the user so choose. Embossed, high quality cardboard tags hang off the posts of each speaker. When unpacking the Amatis for the first time, they offered a gentle reminder to their new owner that subtle differences in the wood veneer grain orientations and leatherette baffle materials may exist, indicative of their hand-forged lineage… A nice touch. Internally, the cabinet is reinforced by six 1-inch-thick HDF cross-braces, which along with the three Stealth Ultraflex ports, split the cabinet into three damped acoustic labyrinth chambers. Two additional sealed (non-ported) chambers are arranged superiorly and inferiorly to the upper- and lower-most acoustic labyrinth chambers respectively. Housed above the uppermost sealed enclosure is the TMD (tuned mass damper) system. What appears to be a set of two differently sized circular weights are bolted to one of the cross-brace beams, oscillating in response to vibration and hence converting to heat from acoustic and kinetic energy any extraneous vibrations from the room which have managed to bypass the ZVT system, as well as energy derived from the generation of sound within the speaker itself. The lower sealed chamber near the speakers’ base houses the high quality crossover, set at 80, 250 and 2500Hz. A visit to the Sonus faber website will avail you of a variety of pictures demonstrating the manufacturing process, laying bare the meticulous but albeit complex construction of the Amati Tradition. Further navigation through the website revealed a couple of well-produced but albeit slightly amusing promotional videos showcasing the Amati Tradition. The first of which features an attractive young couple, seated with affectionate gesticulation, peering admirably and lovingly towards the seascape that lies beyond their gorgeous palatial villa. Oh, I nearly forgot to mention that it wasn’t the panorama they were taking in. It was the Amati Traditions sitting pretty on the dock. The other video shows a handsome guy sitting in an antique wing chair in the garden of his similarly luxe villa. He too is transfixed with the Amati Traditions carefully placed atop the Oriental rug that has conveniently been laid out to grace his posh gravel driveway. Can’t blame them for enjoying the view, and while that’s not how I personally chose to employ the Amati Traditions, I can understand given their sheer beauty (lack of hedge fund ownership and palatial mansion with seascape notwithstanding) why some might. To get to the point, the red-finished review pair of Amatis I received were among the most luxuriously gorgeous speakers I have seen and touched. 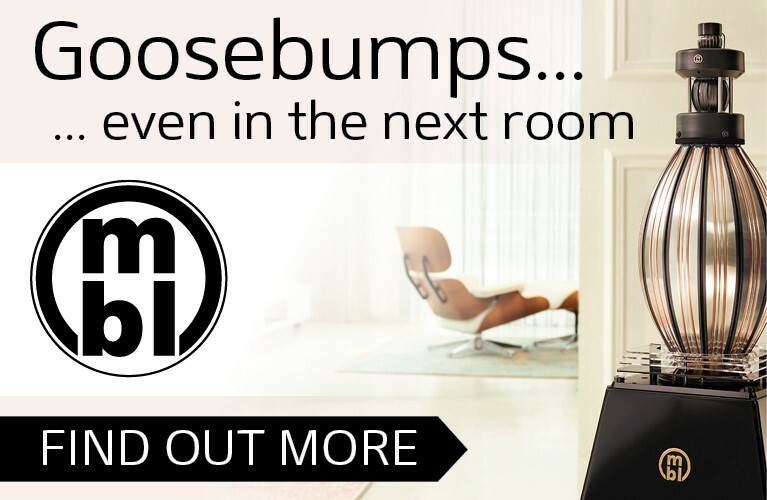 Almost shamelessly decadent in their pristine glossy resplendence, their fit and finish are only rivalled by the finest of high-end speakers, matching and even bettering the standards found in other speakers many times more expensive. I can sing no higher praise of a loudspeaker’s construction. The Amatis came packed in large cardboard boxes. Unpacking was easy, and required inverting the speakers so the outriggers can be secured to the bases before returning the speakers to their correct orientation. In my room, they assumed a position placing the midline of the front baffles 1/5 the width of the room out from the side walls (approx. 50cm) and 1/3 the length of the room out from the front wall (120cm). Further experimentation was necessary and finally the Amatis ended up a few centimetres closer to the listening position than the Magico S3 Mk. IIs that they replaced (see review here). The speakers were run in for approximately 200 hours before final impressions were formed, however changes over that time in their sound meant that various toe-in angles were trialled in order to optimise their top-to-bottom tonal balance and imaging properties. The speakers were spiked and levelled with enough toe-in so a small amount of the rear inner outriggers were visible from the hot seat. The Amatis come packed with a comprehensive accessories kit for each speaker, consisting of a manual, cleaning cloths, covers, and fastening tools for the outrigger feet and spikes. The Amatis immediately impressed me, and their performance envelope continued to evolve over the course of the review period. From the get-go their 90dB sensitivity made for an involving and vibrant presentation, demonstrating a dynamism and rhythmic integrity that enhanced the immersive experience of any musical genre and preserved the microdynamic nuances of complex musical pieces even at the lowest night-time listening levels. Their main areas of performance excellence were their immense soundstage size, their startlingly realistic imaging and their world-class articulation of tonal reproduction and instrumental timbres. The Amatis presented an enormous soundstage that extended well beyond the lateral margins of the baffles, with height and depth portrayal to match. The largess of the soundscape allowed me to better imagine myself transported to within the recording venue and provided the foundations for better scaling and relative dimensionality between each sound source existing within that space. For purely acoustic or orchestral recordings, instruments and vocals were delicately suspended within the recording venue, with intricate layering and the relative positioning of each element made so abundantly clear. Rather than merely presenting images as a trompe l’oeil, where each soundstage element is artificially rendered across a two-dimensional plane, the Amatis presented the space and air between instruments as clearly distinct and discernible. This quality better defined the instruments’ spatial locations not only within a plane between the speakers, but drew the soundstage back into a vanishing point helping to significantly create the impression of practically limitless depth. This phenomenon was completely recording-dependent, demonstrating the Amatis’ explicit transparency to the source. “Danse I” on Estampies & Dances Royales by Jordi Savall and Hesperion XXI provided an excellent example of this. The Amatis exquisitely rendered the shimmering tambourine zils superimposed over haunting yet mournful woodwind and plucked strings, layering each instrument so palpably, while maintaining their relative physical separation and relationship to the boundaries of the recording space. Janet Seidel’s “J’attendrai” from the album Comme Ci Comme Ca showcased the Amatis’ skills in effortlessly demarcating the percussive instruments and the syrupy smooth saxophone from one another while the enormity, openness and spaciousness of the silences in the beginning of Ana Caram’s “Amazonia” was utterly blissful. To break things down, the Amatis’ treble was glistening, sweet and extended, albeit not to the analytical extent that you may expect from some diamond or ribbon drivers. It had more in common sonically to the soft and delicate qualities of the silk dome of my Dynaudio C2s than it did to the diamond-coated beryllium driver of the Magico S3 Mk.IIs, however still lay somewhere on a spectrum between the two, consistently performing the disappearing act so well exhibited by the latter. This delicate and refined character extended down into the midrange and bass of the Amatis, contributing to their sense of overall coherency and musicality. Designed as a tribute loudspeaker to a great violin maker, it is hardly a surprise that the Amatis’ most profound strength lies in its ability to delineate instrumental tonality. Strings, brass, woodwinds, piano, vocals of any register and percussive instruments were invariably reproduced with such realism and musicality. This is a speaker that speaks to the heart, pulling you into your favourite recordings, drowning you in the fidelity to tone and harmonic texture that all music lovers crave. Classical and acoustic music played though the Amatis is sure to thrill, and will never confront you with listener fatigue or stridency. As good as they are with acoustic music, the Amatis are certainly no one-trick pony. The trancelike rhythmic cogency and bass control in “You’ll Never Change” and “Need In Me” on GusGus’ Forever album were outstanding. Rock, pop and electronica fans will not be disappointed! To finish off my description of their sound, it should be noted at this point that while the Amatis may utterly excel in the reproduction of musical tone, they seemed to do so at the expense of the ultimate resolution of detail, most gently rolling off the highest of frequencies and slightly sacrificing the utmost of bass tightness in favour of a more extended, developed and rounded mid-bass sound. It is for that reason that the Amatis could also be said to be forgiving of the most terrible and edgy of recordings, which is by no means a bad thing. 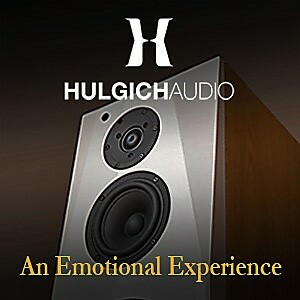 I quite simply love these speakers because they love music. They have been crafted in respect and out of admiration for an art form. They in turn reciprocate with the utmost respect for your recordings. The Amati Traditions, in both their form and function, effortlessly and honestly pay tribute to the art they reproduce and the instrumental timbres they so skilfully mimic. Like a finely crafted violin, they produce sound that is a celebration of musical tone and colour, expressing the artistic raison d'être of the composer and composition, the harmony of the musicians and the subtleties of playing technique in such jubilant exaltation. They were supremely evocative and provided a window into the performance that connected me to my most treasured music in a way that few loudspeakers can muster. In all respects, they live up to the Amati name and the tradition that enshrines it. These are not merely loudspeakers, they are musical instruments or more precisely, instruments of musicality! I’m no musician and so my words are all I have in an attempt at an homage to them. I sincerely hope that I’ve managed to capture the utmost reverence I hold for these delightful creations. It is said that if you love something, you have to be willing to let it go. Such is the case with the Amati Traditions, but make no mistake… As it is with all lost loves, they will be missed.